﻿ L Ermitage Franschhoek Chateau andVillas Hotel Franschhoek. JIMAT di Agoda.com! Ada soalan mengenai L Ermitage Franschhoek Chateau andVillas Hotel? Direka untuk kedua-dua tujuan perniagaan dan percutian, L Ermitage Franschhoek Chateau andVillas Hotel terletak di lokasi strategik di Franschhoek; salah satu kawasan yang paling popular di bandar tersebut. Dengan lokasi hanya 31.2 Km dari pusat bandar dan 66.8 Km dari lapangan terbang, penginapan 4-bintang ini menarik banyak pelancong pada setiap tahun. Dengan tarikan utama di bandar ini seperti Kilang Wain Haute Cabriere, French Huguenot, Huguenot Memorial Museum berada pada jarak yang dekat, pengunjung hotel pasti akan menyukai lokasinya. Menawarkan tetamu perkhidmatan yang unggul dan pelbagai kemudahan, L Ermitage Franschhoek Chateau andVillas Hotel komited untuk memastikan penginapan anda berada di tahap seberapa selesa yang mungkin. Semasa menginap di penginapan yang indah ini, tetamu boleh menikmati meja depan 24 jam, simpanan bagasi, Wi-Fi di tempat awam, tempat letak kereta, khidmat bilik. 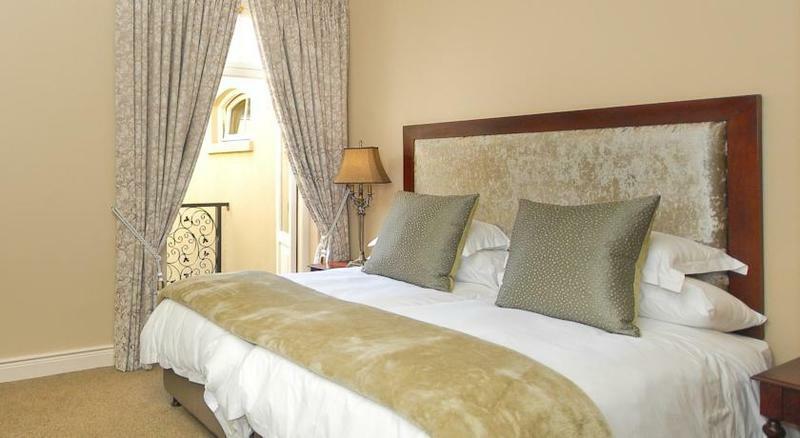 L Ermitage Franschhoek Chateau andVillas Hotel mengandungi 42 bilik yang dihias indah dan menawarkan linen, cermin, tuala, almari, bilik larangan merokok. Sama ada anda peminat kecergasan atau hanya mencari cara untuk bersantai setelah seharian bekerja, anda akan dilayan oleh kemudahan rekreasi kelas tertinggi seperti padang golf (dalam jarak 3 km) , kolam renang terbuka, spa, taman. 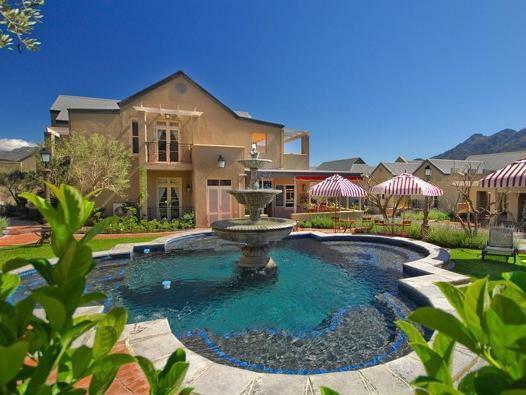 Apa juga tujuan lawatan, L Ermitage Franschhoek Chateau andVillas Hotel merupakan pilihan yang terbaik bagi penginapan anda di Franschhoek. Walking distance to centre of Franschhoek yet idyllic and tranquil. All the staff are attentive, friendly and gracious. Fantastic rooms. Try out the wine tour and visit one of 70 gourmet restaurants while in Franschhoek. The museums and monuments are also well worth a visit for a very enlightening cultural education. Stayed here for one night only. On arrival my booking was not in the system. Also the check in time was 2pm although the Adoga webpage showed 12pm. Enjoyed the view and setting. Hotel is well maintained. Breakfast was rather hit and miss, but did not detract from overall experience. Spent 3 nights in Villa 21 and could have stayed much longer. Amazing views from a very large balcony. Very spacious well appointed rooms. Breakfast midweek a la carte and buffet on weekend. All good. I found the staff very friendly and flexible to requests. The views of the mountains are quite spectacular. Lovely village fee to the Estate. 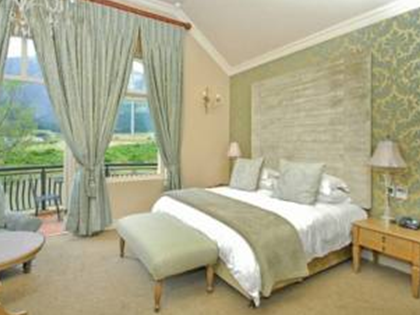 Lovely spacious rooms, with great views. The staff are friendly and accommodating creating a relaxed space for one to enjoy the surrounds. Make sure you book somewhere for dinner. The hotel is great for breakfast but probably nice to get out and see the village. Room service was spot on though. The location was quiet and tranquil, with a wonderful view and the room absolutely gorgeous ! 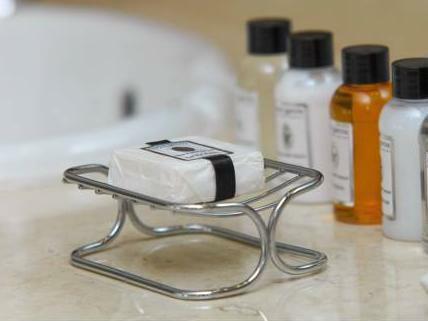 We were impressed by the size and luxurious furnishings of the room and bathroom. The kitchen area could be slightly better equipped - especially a dishtowels and sponge / washing-up cloth would be welcome. The balcony with its beautiful view was an added bonus. The food in the restaurant was of a very high quality and portion sizes were very good, although there is some attention to detail lacking (e.g. certain wines on the winelist were not available, no instant coffee available when requested, music was turned off half way through our meal - so it was very quiet ! - serviettes, cutlery and condiments were missing off our table) - but staff were extremely friendly and helpful. All in all a great stay and would highly recommend for a romantic get-away ! everything was fine, hotel very good. but you guys messed up my reservation. i had reserved 2 rooms and when i arrived there the place was fully booked and they did not have my reservation. they made a plan and put me into a villa, which meant i had to stay with the other people that i was travelling with in the same room. not ideal! as i was taking my wife away and had booked a nice room for me and her!!! it was quiet, comfortable and very good breakfast. Beautifully decorated and furnished. Very spacious. Amazing setting with stunning views. We had a brilliant time staying here! The staff were friendly and very helpful. We never had an evening meal there so I can't say what the food is like, but the breakfast buffet was very good. We had the honeymoon suite and it was even better than the website photos show. A lot bigger than expected and it has a stunning view of the lake and mountains. It wasn't completely perfect as there was a couple of cupboard door handles missing, the toilet light was out and one of the big curtains was coming off the rail. Also we had a power cut one night but not sure if this was a problem with the hotel or not. But these faults really didn't detract from our stay and my wife and I would definitely like to visit again. We loved the place very much. This place is a little slice of heaven, amazing rooms, beautiful views, great price and wonderful staff, just heavenly! I was there for a wedding and my suit was pressed without question in minutes and the food and beverages were also of the highest standard. The chalet was enormous with ebautiful rooms and bath rooms, I have stayed at many 5 star hotels in my life which come nowhere close to this! The location is fabulous.Breathtaking views.Amenities in the villa are very good.I do think that the staff from reception to housekeeping should take more pride in their jobs.There are a few of them who are letting the rest down.They need to be all ears and eyes as they are at the foprefront.Customer service is of pivotal importance.I had an incident all because the receptionist did not do her job properly.So that was a sourpoint for me. Other than that it is a gr8 hotel.Stay there quiet often. This a good establishment,good facilities.breakfast can be improved though. Hotel is very centrally located and very close to the town. Staff is not that helpful. Food is up to standard. The location is breathtaking, views are out of this world.The self catering unit itself was brilliant.Excellenet finishes.Finest level of comfort..home away from home.wonderful to just relax in your room. We were upgraded for free to a 2 bedroomed villa as the resort was quiet at the start of the season. And what a villa! A lounge / dining / kitchen with top notch furniture and fittings. Through to the bedroom where we found twin beds, a bath, a walk in shower and a toilet. Then we realised that this was the spare bedroom! The main bedroom had a huge bed and another bath, and a walk in shower, and a huge balcony. All beautiful throughout. The staff were always very polite and helpful. Two little things which were really nice: I had broken my ipod charger so overnight they plugged my ipod into one of their computers to charge it so I could use it on the plane home. And to check in for our flight the manager let me use his computer and printer. Small things but they make life easy and make this a really nice place to stay. Agoda's prices made it best of all of course, never pay full price! We were given an enormous room with every conceivable amenity - though it took us a while to work out the hi tech heating and cooling system! The staff were friendly and helpful throughout our stay. It's an excellent location if you want to explore Franschhoek and the wine country, whether by car or on foot. Great setting with attention to detail from arrival till departure. 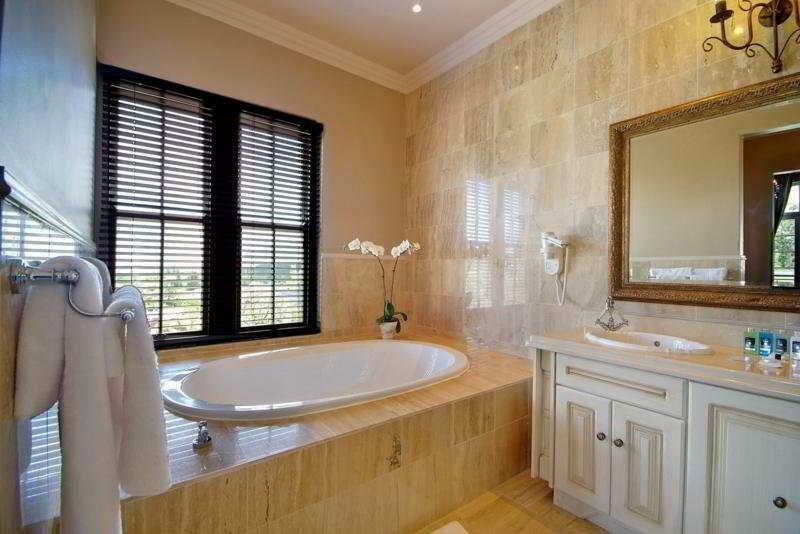 Clean and well maintained cleanliness. The structure needs maintnance in places but overall great villas, well equipped for self catering with option of half or full board. Staff service friendly and professional, restaurant service was professional and food was of good standard. Good base to explore franschoek valley. Awesome Home away from home. Rooms and Villas are huge and very comfortable. Nestled on the slopes of Franschhoek Pass, it offers a tranquil retreat from the hustle and bustle of city life. a number wine estates close by and elite retuarants to enfuse the tastbuds. The fynbos and mountains provide the perfect backdrop whilst quaint cobbled streets offer the extra French touch. A must to for the bucket list.